Our website has just had a makeover! We hope you will find this new website easier to use, especially for our mobile and tablet customers. We have made quite a few changes, all designed to make the site more user friendly and efficient. The most obvious change for regular customers, aside from the new look, is the change to the product pages. You’ll notice that our dropdown menus make it easier for you to scroll and select a product, before adding it to your shopping cart. Ceet foams are in!! I think I have contacted everyone who ordered one, if I have missed anyone please let me know. They are selling out fast so be sure to get your orders in quick! ? 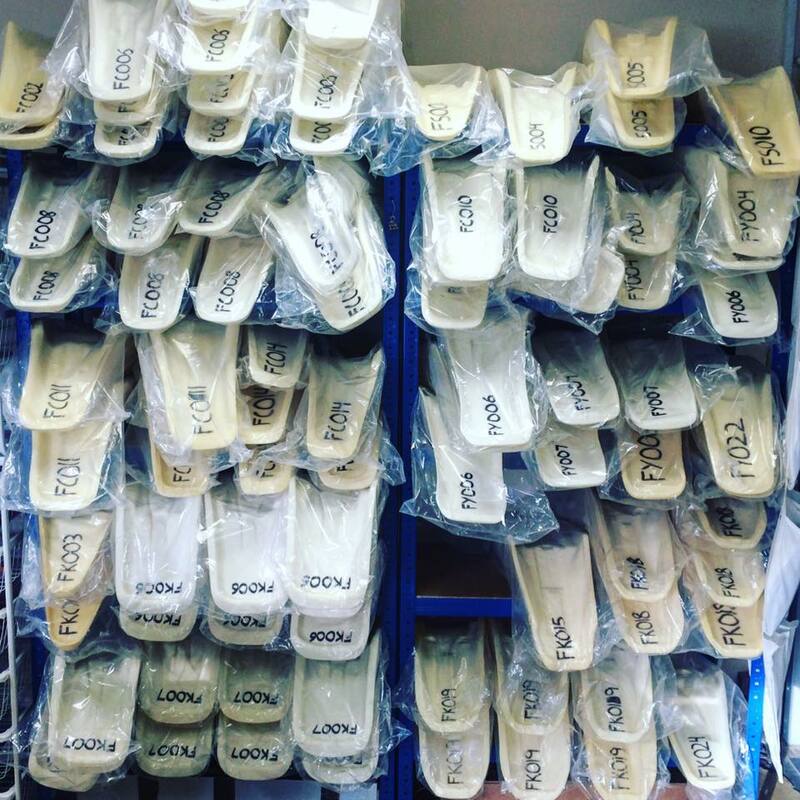 Farleigh was fantastic, there was a huge demand for our seat covers, especially the fitting! 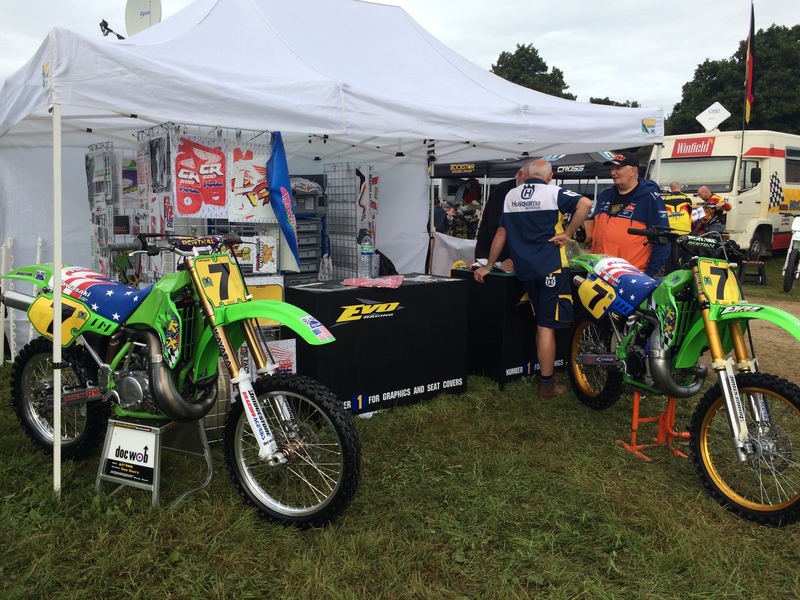 We have taken a short clip of Evo-MX rider Todd De Hoop leading the twin shock race by a country mile. Proud to have this guy flying the Evo flag. 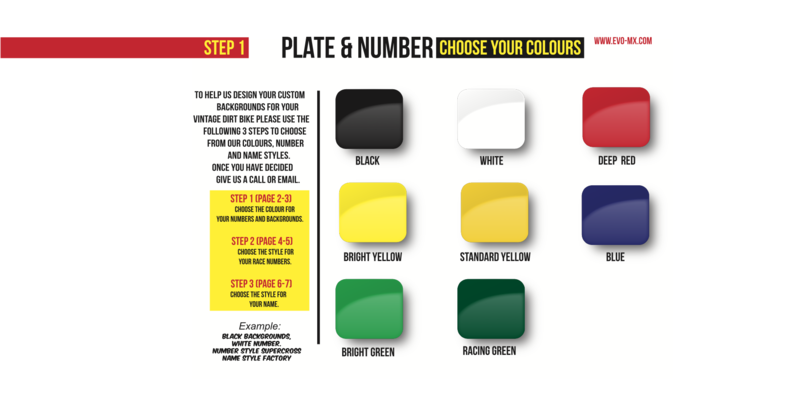 To view our online brochure for custom plates, please click here. Universal Stickerpack are all you need to cheer up a sad bike. 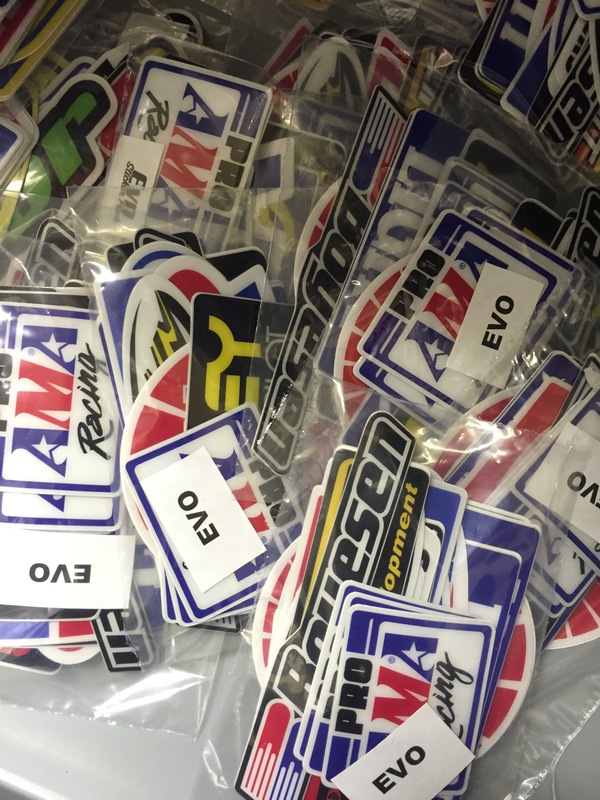 We have all of your favourite brands in big ‘Thickstuff’ decals diecut to shape. If any manufacturer objects to us using their brand, please let us know…we do not intend causing offence, just increasing the enjoyment levels of our wonderful sport.